'Let The People See': It Took Courage To Keep Emmett Till's Memory Alive Historian Elliott J. Gorn's new book revisits the 1955 death and public funeral of the African-American teen. Critic Maureen Corrigan says it's a timely story about the fragility of collective memory. Day and night over Labor Day weekend in 1955, over 100,000 mourners, almost all of them African-American, filed past that open casket, which lay in state in a South Side church. Before the funeral service, a staff photographer from Jet magazine was permitted to photograph Till's body, and those images were disseminated to other African-American magazines and newspapers, including The Chicago Defender. Years later, many white Americans remembered — falsely remembered — the epiphany of Till's ruined face in 1955. [But] few white people saw the photos until thirty years later when the documentary Eyes on the Prize opened with the Emmett Till story. Only then did [his mother's] words, "Let the people see what they did to my boy" begin to be fully realized. 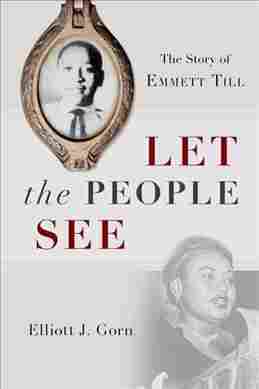 Gorn's book is called Let the People See; like Timothy B. Tyson's 2017 book, The Blood of Emmett Till, it builds on new evidence discovered by the FBI in 2005 to present a detailed reconstruction of Till's kidnapping and killing in Mississippi, in retaliation for allegedly having whistled at a white woman named Carolyn Bryant. Gorn also dives deep into a legal analysis of the transcripts of the trial in the town of Sumner, Miss., in which Bryant's husband and his half-brother were tried for Till's murder. Both men were quickly acquitted by an all-white, all-male jury. But what's most interesting about Gorn's book is his final section, called "Memory," in which he traces how Till's story, which seems so well-known today, came very close to "pass[ing] into oblivion." Gorn points out that in the two years following Till's murder, more than 3,000 articles about him were published. Then, "the whole of the 1960s brought only three hundred articles. In the 1970s, fewer than fifty stories appeared." Just as disturbing is the fact that some of those stories, including one written in 1956 by William Faulkner for Harper's Magazine, relied on a paid interview with the two alleged killers that had been published in Look magazine. That Look story characterized Till as a defiant sexual aggressor. Going forward, Gorn says, the 10th and 25th anniversaries of Till's murder mostly passed unobserved, even in the black press. It was the rise of African-American studies that helped recover Till's story, along with the widespread popularity of the 1977 TV miniseries, Roots, which proved there was a mainstream market for black history. In 1985, a Chicago reporter named Rich Samuels produced a half-hour documentary on the Till case, segments of which were later broadcast on NBC's Today show. "For the first time in mainstream media," Gorn writes, "whites saw the photograph [of Emmett Till in his coffin]." As the image appeared on the screen, viewers heard the voice of writer James Baldwin who said, "It was myself in that coffin, it was my brothers in that coffin ... I can't describe it so precisely, because it had been so mutilated, it had been so violated. It was him but it was all of us." Let the People See is a timely book about the fragility of collective memory and about the courage and persistence of journalists — particularly black journalists — some of whom risked their lives in 1955 to get the facts of the Till story before the public. Most of all though, Let the People See is a vivid reminder of just how easy it is for people not to see things they'd rather not see.